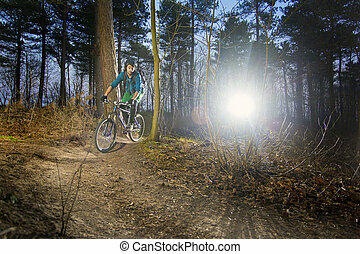 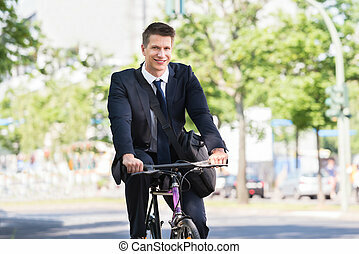 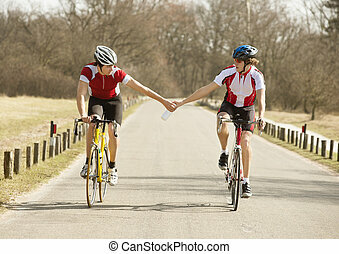 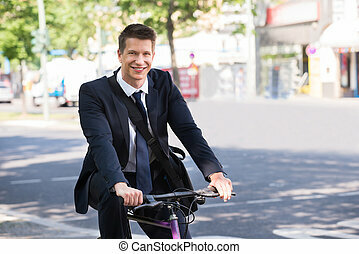 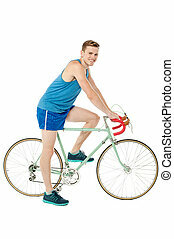 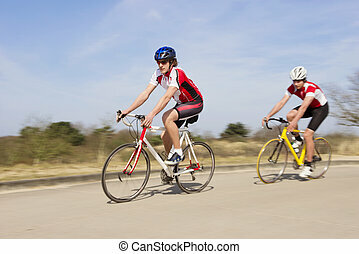 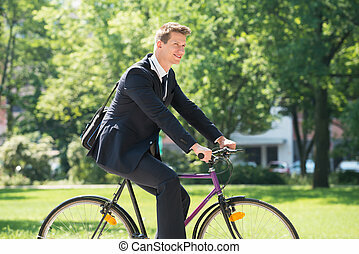 Male athlete riding bicycle. 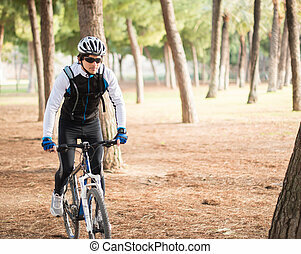 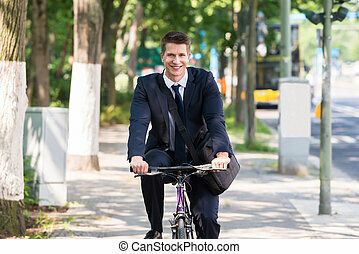 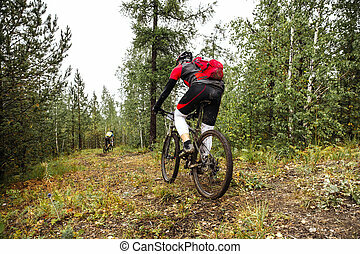 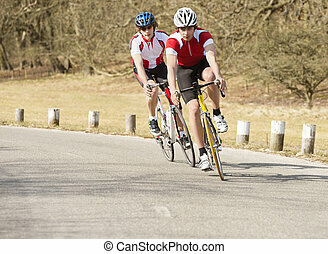 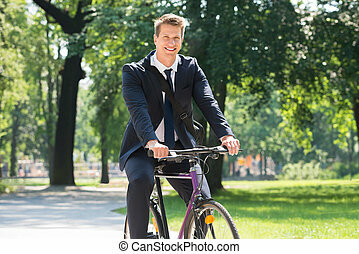 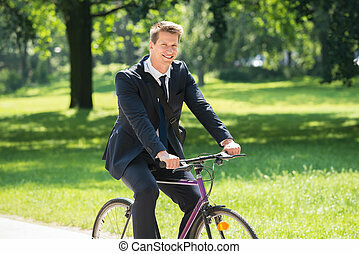 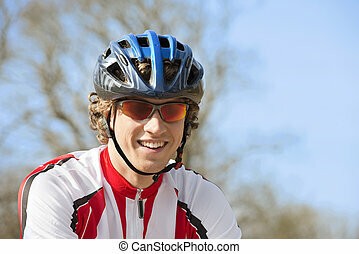 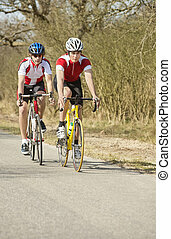 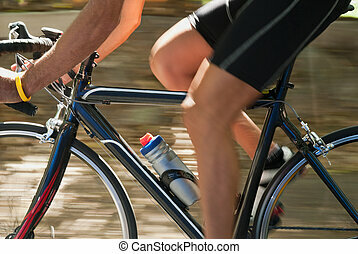 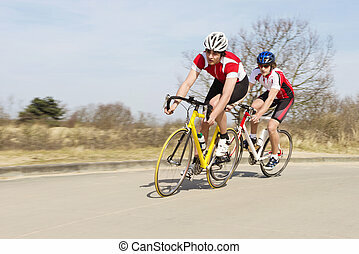 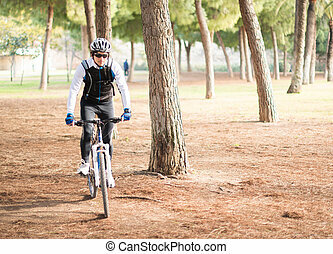 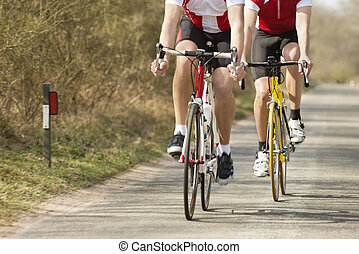 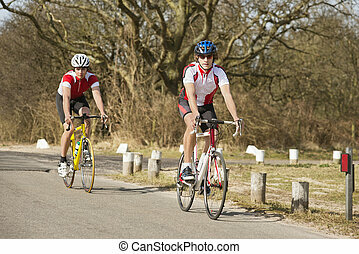 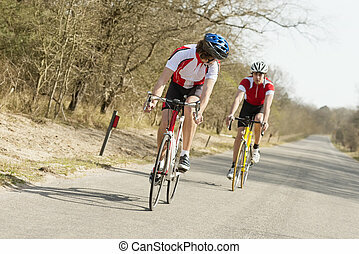 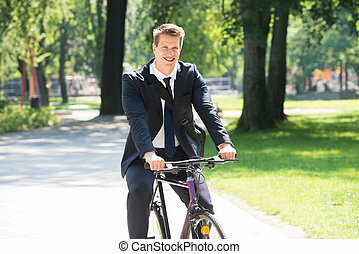 Low section of male athlete riding bicycle on a country road. 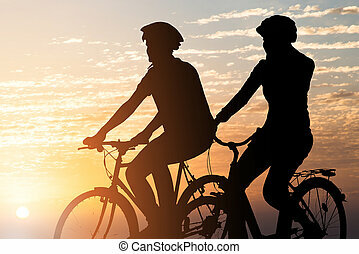 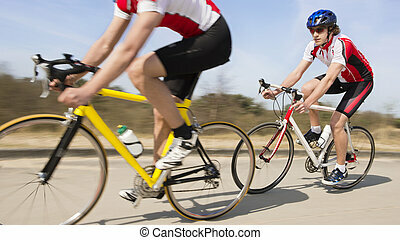 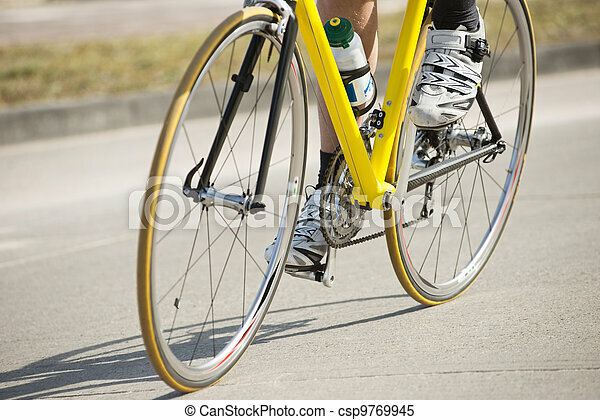 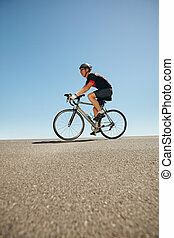 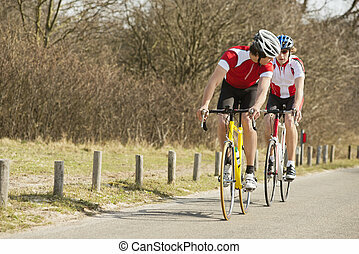 Side view of male cyclist riding bicycle on flat road against blue sky. 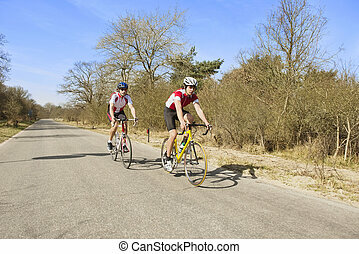 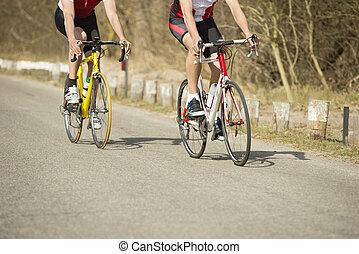 Low angle view of caucasian triathlete training for competition.